The Sacramento Bee reports that Gov. 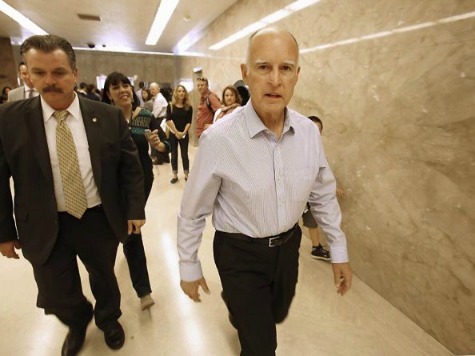 Jerry Brown said Wednesday he remains noncommittal about debating Republican Neel Kashkari, saying, “I haven’t made up my mind. I’m going to take that up later in the year, because we’ve got time.” Kashkari has publicly called for ten debates, pointedly copying the same request Brown made in 2001 of his rival Meg Whitman. There is no such issue for Brown this year; he has a massive fundraising lead, and so with Kashkari bereft of funds and significantly behind in the polls, Kashkari has had to take to radio, guest hosting talk radio shows. He just won’t debate them with his opponent.